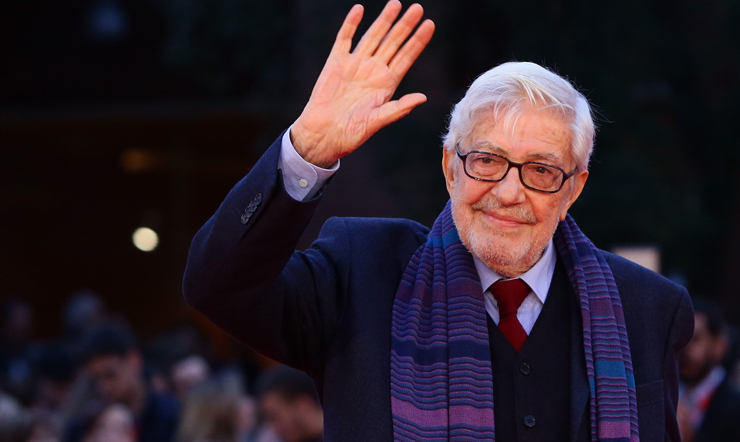 From September 17, 2016 to January 8, 2017 at the Museo Carlo Bilotti in Rome, the exhibition “Piacere, Ettore Scola” will be the first to celebrate the creative genius of one of the undisputed protagonists of Italian cinema, just a few months after his death. Produced by Show Eventi in collaboration with CityFest – the programme of cultural events of the Fondazione Cinema per Roma chaired by Piera Detassis – the exhibition, curated by Marco Dionisi and Nevio De Pascalis, with the media partnership of Ciak magazine, illustrates the professional and private life of the great Italian filmmaker: from his childhood in Trevico, his native town in the province of Avellino, through his last film Che strano chiamarsi Federico (2013), a tribute to his friend and colleague Federico Fellini. Photographs, drawings, stage props, documents and videos reconstruct the artistic career and personal life of Ettore Scola, “an eclectic professional, a complex, sharp and caustic observer of Italian mores” as the two curators recall. The exhibition is divided into nine sections, split in two parts, one chronological and one thematic. It begins with the years of his childhood and education in Trevico and in the Esquiline district in Rome, then reviews his early years when Scola was first a cartoonist for the satirical weekly Marc’Aurelio and a writer for variety shows for RAI radio and television, then a scriptwriter for comedy films with Metz and Marchesi, or in collaboration with Ruggero Maccari, until he finally began working in auteur films with Pietrangeli and Risi. The section ends with his years as a director, from his debut film Se permettete parliamo di donne in 1964 to Che strano chiamarsi Federico. The thematic part of the exhibition begins with an analysis of his relationships with actors and collaborators; it reconstructs Scola’s civil and political engagement, pays tribute to his city of Rome, to his passion for theatre and his great love of drawing. His drawings will in fact be the thread connecting all the sections of the exhibition, original drawings on paper made by the great filmmaker himself: the first drawing he published in the magazine Il Travaso delle idee in 1946; ten drawings dating back to the period he worked on the editorial staff of Marc’Aurelio and other satirical magazines of that time; five drawings dedicated to the great Totò and finally, over two hundred drawings from his childhood to the present, many of which were created for the characters, frames and sets of his films. No less impressive is his photographic repertoire: over one hundred personal photos taken by Scola himself, shown here for the first time ever, and over four hundred photographs from films such as Che ora è (1989) with Marcello Mastroianni and Massimo Troisi, and Riusciranno I nostri eroi a ritrovare l’amico misteriosamente scomparso in Africa (1968) with Alberto Sordi, Nino Manfredi and Bernard Blier, his first big hit. The exhibition will also feature many audio-visual documents from the archives of the Istituto Luce, Rai Teche, the Cineteca di Bologna, Aamod, and the Centro Cinema Città di Cesena. The highlight is the interview with the “Maestro” by the curators of the exhibition, exploring his entire professional and personal history. This journey into the narrative universe of the great Italian filmmaker also dedicates space to the original vinyl LPs of the soundtracks for his films Maccheroni (1985), Ballando ballando (1983), La Marcia su Roma (1962) and Se permettete parliamo di donne, as well as the posters of his films and the models by set designer Luciano Ricceri for the sets of Il viaggio di Capitan Fracassa (1990) and props such as the little wooden car from La famiglia (1987), the famous letter from the film Totò, Peppino e la Malafemmina in which Scola participated at a very young age, and Scola’s personal director’s chair for the film Che strano chiamarsi Federico. 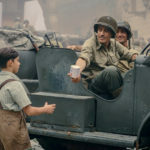 This film is reconstructed in all the drawings used by Scola, in newspaper articles, dozens of photographs from the set and behind the scenes, and the 1949 typewriter. 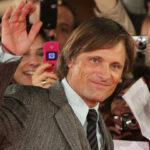 Scola’s career was constellated with international acknowledgments, and the exhibition will therefore display all the awards the director ever won: from the letters he received for his nomination to the Oscars for Best Foreign-Language Film – there were four – to the six David di Donatello awards, the Golden Spike from Valladolid, the Golden Bear in Berlin, the Globo d’Oro and the first place award at the Moscow International Film Festival.